Constructed of the same quality material as the G10 kit but with 21 drawing tools. 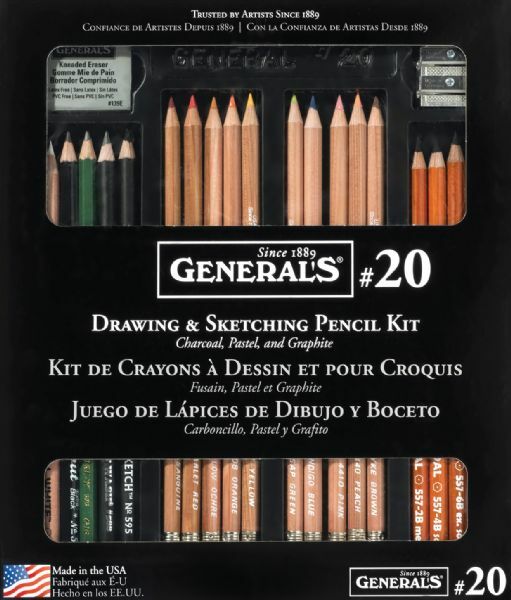 * Kit includes ten multi-pastel chalk pencils four charcoal pencils one charcoal white pencil one flat sketching pencil one layout pencil one Kimberly graphite pencil and one carbon sketch pencil a kneaded eraser and an artist sharpener. 9.25" x 8.25" x 0.75"